Todd Beamer, who resided in Cranbury, New Jersey, was an account manager for the Oracle Corporation. He died at age 32 in the September 11, 2001 attacks on board United Airlines Flight 93. He is survived by his wife, Lisa Beamer, two sons, David and Drew, and a daughter, Morgan Kay, who was born on January 9, 2002 . nearly four months after her father's death. Todd and other passengers had been in communication with people via in-plane and cell phones and learned that the World Trade Center had been attacked using hijacked airplanes. Beamer tried to place a credit card call through a phone located on the back of a plane seat but was routed to a customer-service representative instead, who passed him on to supervisor Lisa Jefferson. Beamer reported that one passenger was killed and, later, that a flight attendant had told him the pilot and co-pilot had been forced from the cockpit and may have been wounded. He was also on the phone when the plane made its turn in a southeasterly direction, a move that had him briefly panicking. Later, he told the operator that some of the plane's passengers were planning "jump on" the hijackers. According to Jefferson, Beamer's last audible words were "Are you guys ready? Let's roll." This term would later become the war cry for those fighting Al Qaeda in Afghanistan. Though it was a widely-held belief that the passengers crashed the airliner in an attempt to save the lives of others on the ground, the 9/11 Commission's findings (based on the "black box" cockpit recording) were that the passengers on Flight 93 did not cause the plane to crash intentionally. They burst into the cockpit and fought with the terrorists over the controls for the plane. A post office in Cranbury, New Jersey, was named after him. There is also a high school (Todd Beamer High School) in Federal Way, WA, named after Beamer. Wheaton College also has a building named after him (the Todd M. Beamer Student Center). Beamer attended Los Gatos High School, Wheaton Academy, DePaul University, California State University, Fresno and Wheaton College. 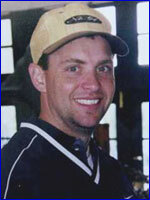 For the Pittsburgh Post-Gazette's biography of Todd Beamer, click here.